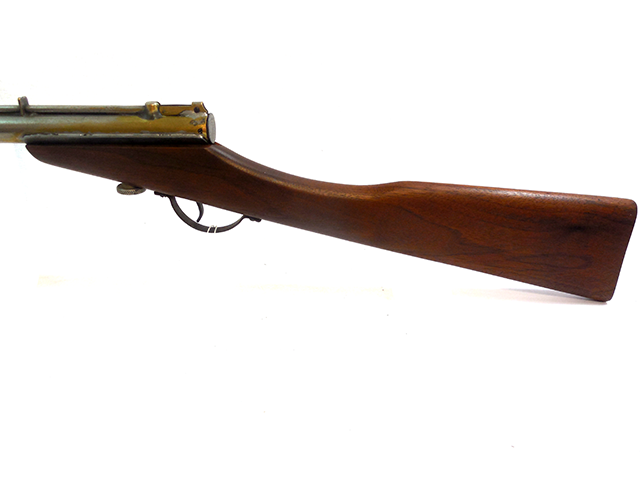 The Benjamin model E is nearly identical to the model F, but the rear sights on the E are placed toward the end of the stock, where the rear sights on the F are positioned farther back. 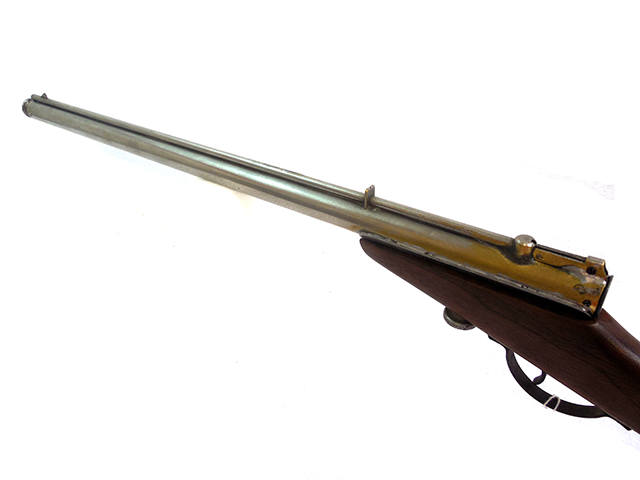 The stamps on the breech also have different styles, and the front sights are different. 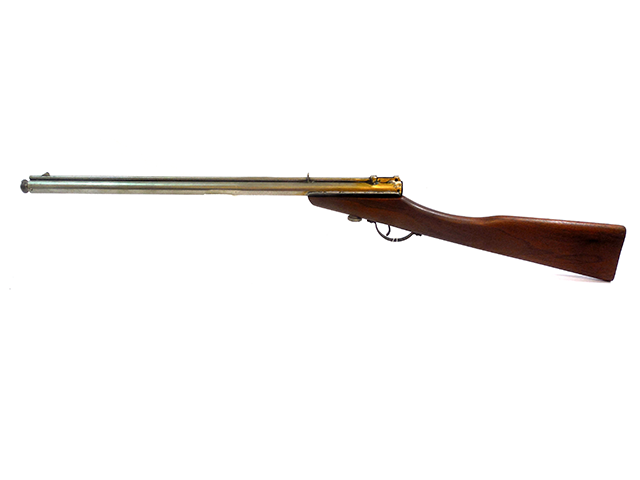 The model E is a multi-pump pneumatic, muzzle loading BB gun with a muzzle pump, and walnut half stock. 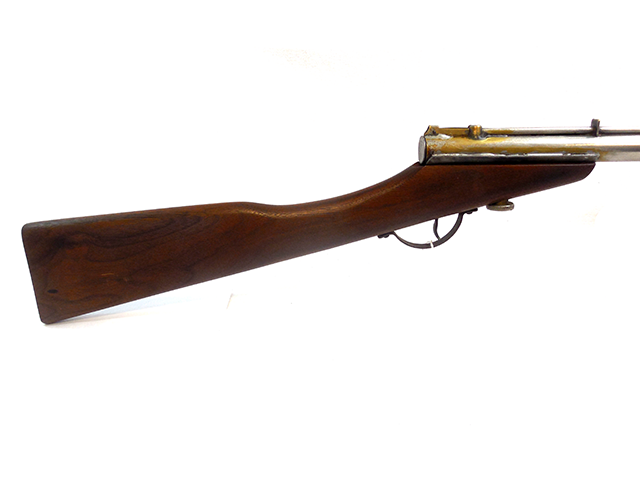 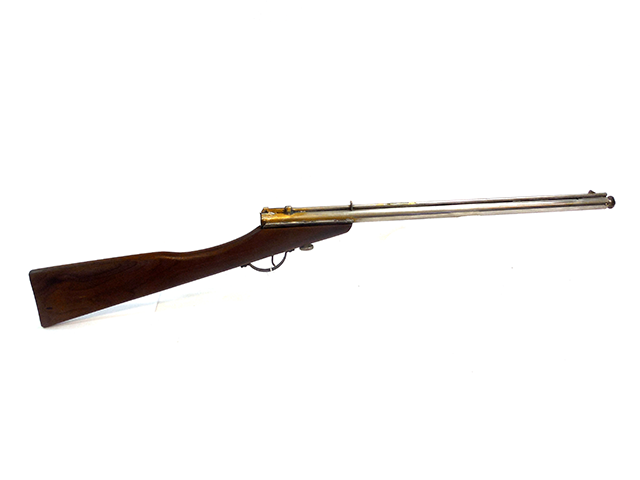 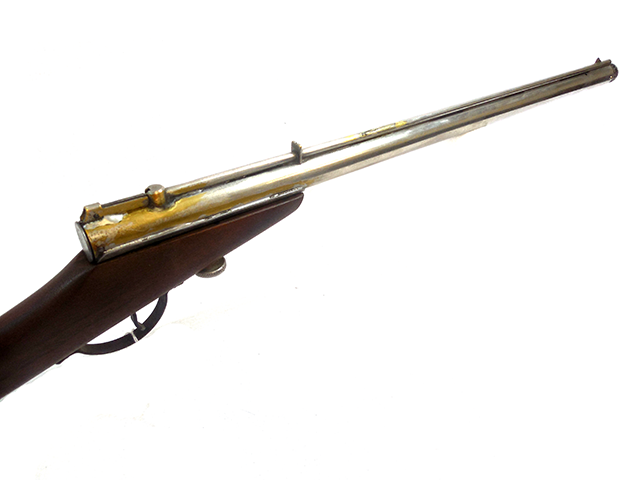 These were very popular BB guns for about 25 years, between 1910 and 1935.